The proprietor of my favorite comics shop slipped this variant Action Comics cover into my weekly pull thinking it might make a nice Cover Me entry. It was a good call. 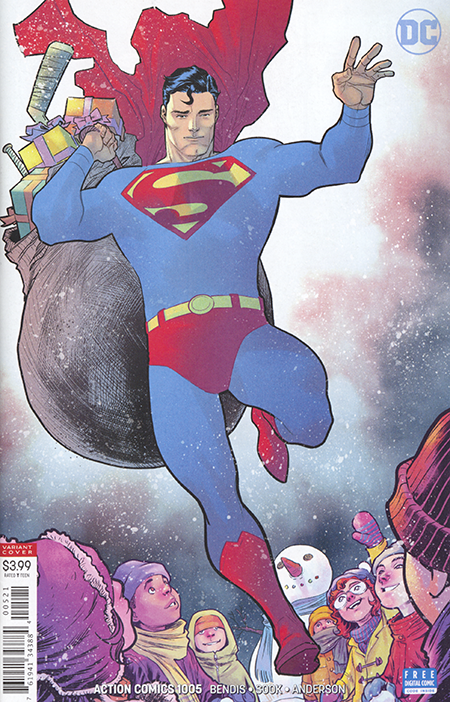 Not only is it a sweet looking cover, but it joins the pantheon of holiday themed covers that have have been a staple (no pun intended) (well maybe) from comic books early days. Enjoy.